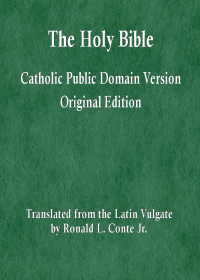 My translation of the Bible, the Catholic Public Domain Version (CPDV), does not have any type of approval from the temporal authority of the Church. I have published the CPDV without approval and without any annotations, contrary to Canon Law 825 on both points. I have not submitted the translation for such approval for several reasons. 1. The Bible belongs to the Church as a whole, to all the faithful and to each of the faithful, even to all humanity. Therefore, the faithful should be able to translate, edit, publish, and comment on Sacred Scripture freely, restricted by the moral law and the love of God and neighbor, but not restricted by rules and committees. 2. The current code of Canon Law (1983) prevents individual Bishops from giving their approval to particular editions of the Bible, and hands this authority over to the local Bishops Conference, which then delegates this same authority to a committee. The individual Bishops are the successors of the Apostles; they are Apostles by virtue of ordination to the episcopal degree. Individual Bishops should be permitted to give approval to editions of the Bible. But the faithful should also be able to publish without approval. 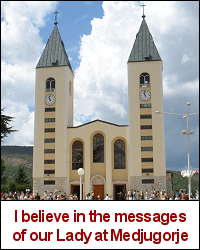 For the temporal authority of the Bishops is fallible. 3. The USCCB Ad Hoc Committee for the Review of Scripture Translations has erred grievously and has harmed the faithful by giving approval to inclusive language translations, very loose translations, and thoroughly Protestant translations. Therefore, I am not willing to submit my translation to them, nor do I want to scandalize the faithful by cooperating with the Committee in their sins against the Word of God. 4. Just as various Apostles wrote and published the books of the New Testament without any approval, so also should the faithful, in weak imitation of them, be able to translate, edit, and publish editions of the Bible and commentaries without approval. The Bishops would then still be able to advise the faithful about the various editions of the Bible that are available. 5. I have published the CPDV without any annotations because of the many errors and sins committed by Biblical scholars in the annotations (footnotes and commentary) of numerous different editions of the Bible. The Bible itself is inerrant; it is entirely without error in all that it asserts as true. However, the errors found in annotations are innumerable and often grievous. The faithful are sometimes better served by a translation without annotations, so that they can consider the truths of Sacred Scripture without the distractions and errors of the annotations. My translation of the Bible is in the public domain; it may be freely printed, edited, annotated, and distributed by anyone, so that the Word of God many benefit as many persons as possible. If some persons think that the CPDV is in need of correction or improvement, they are free to do so. May God assist them.